What do BC Splash, BC Talks, BC NESTS, and BC Ignites all have in common? The answer is a person: Conor Sullivan, LSOE ’13, played an instrumental role in bringing each of these programs to the Boston College campus. Through his involvement in both Education for Students by Students (ESS) and UGBC, Sullivan has established himself as someone who “gets stuff done,” according to professor Audrey Friedman, assistant dean of undergraduates in the Lynch School of Education and the director of Sullivan’s senior thesis. “I just get really excited about ideas,” Sullivan said, laughing. The BC community has shared in this excitement over Sullivan’s ideas-hundreds of students participate in BC Splash each semester, the BC Talks undergraduate lecture series consistently draws large crowds, and both the foreign language course series BC Nighttime Education: Students Teaching Students (BC NESTS) and the diversity forum series BC Ignites have seen impressive success in their first year. Despite all that Sullivan has brought to BC, however, he prefers to speak about the opportunities this University has given him, splitting his BC experience into what he calls his “three tracks”-extracurriculars, academics and research, and student formation. He jumped right into the first of the three not long after his arrival at BC. Through his participation in the Shaw Leadership Program, Sullivan met Hanyin Cheng, BC ’12, who approached Sullivan first semester to ask him if he would like to help bring the Splash program to BC. “The fact that he asked me to do that completely changed my entire BC experience, in that he saw some potential in me to be a student leader on campus and he was willing to have me help him with that,” Sullivan said. The two began meeting with administrators that spring, and they hosted the first BC Splash in the fall of 2011. The event was extremely successful, leading them to think that it could be something bigger than just an operation under UGBC. In order to make it into its own club, however, they had to have an idea for another program that the club would run. They came up with BC Talks, and ESS was born, with Cheng serving as president and Sullivan as the director of Splash. Sullivan remained heavily involved with the club until his second semester junior year, when he decided to leave his position in order to run for UGBC president. Although he eventually lost the election, he describes the campaign season as “by far the most formative experience” he’s had at BC. 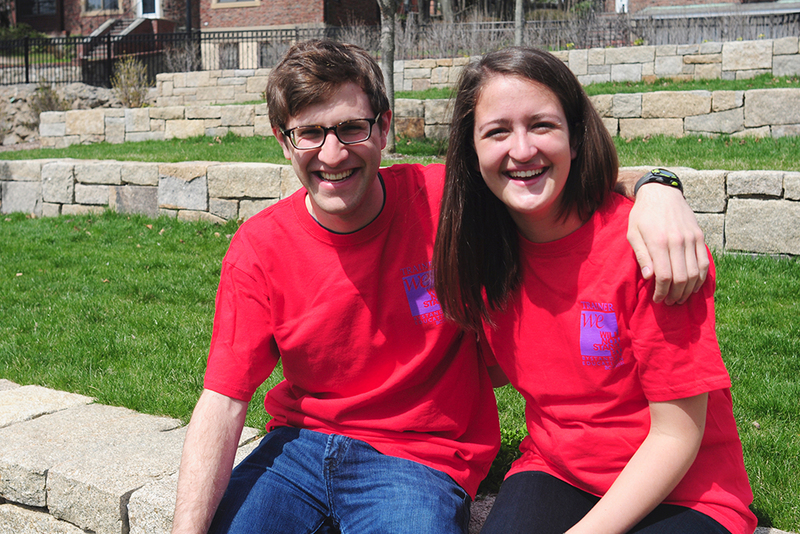 After losing the election, Conor ran for president of ESS, and was elected co-president with Meghan Shein, A&S ’13. Together, the two developed BC NESTS and created the Communications Department of ESS. Determined to act on all that he had learned while running for president, Sullivan created the diversity forum BC Ignites in order to generate discussions around topics that he-and many students he met on dorm walks-believes to be extremely important but too seldom talked about. “We always talk about on campus how we need more of that kind of dialogue, but no one has been willing or able, or with enough forethought, to actually think of a way to engage the greater population in doing so, and I think he came up with a way, and it’s a way that works,” Assistant Director of the Student Programs Office Mark Miceli said. The change that Sullivan has enacted has also extended past the borders of BC’s campus. Very early in his freshman year, he became involved in a program called Friends of the Children of Boston, which required him to travel into Dorchester twice a week, for 20 hours total, to be a mentor for a fourth grader. “I went to his classes, I took him on outings around the city-I was basically a liaison between his teachers, his guidance counselors, school nurse, parent,” he said. In this role, Sullivan dealt with issues ranging from anger management to child abuse, opening his eyes to the fact that failed education is not necessarily a result of only unsatisfactory schools, but rather the cycle of poverty in general. “It made me realize how many issues there actually are in education, and that spawned an interest in educational policy, so that’s where I am right now,” Sullivan said. To further this interest, Sullivan has assisted in the research conducted at the Timss and Pirls International Studies Center where worldwide educational assessments are created and evaluated. “Anytime you ever hear about the U.S. lagging behind Finland, for example, in reading and math, they’re the ones doing that study,” Sullivan said. He also decided to voluntarily write a senior thesis on full-service education under Friedman’s direction. In addition, she spoke of how Sullivan’s input on the Lynch Honors Program led her to make corresponding changes to its structure. “He was able to sit down with me and really articulate those things which he feels are valuable about an Honors Program. When someone like Conor shares some constructive criticism, it’s usually immensely valuable,” she said. Friedman was also involved with the Lynch mentor program that Sullivan has mentored in since his sophomore year, when he was assigned Alexis Cox, A&S ’14, as his mentee. Cox has since become involved with ESS, and was recently elected president for the 2013-14 school year. “He’s a very inspiring person. I wouldn’t be where I am now without him,” Cox said. Next year, Sullivan will be entering a fifth year Lynch Masters’ program in Educational Research, Measurement, and Evaluation, and after that will be involved in the Teach for America program in Connecticut. Everyone who has met him, however, agrees that Sullivan’s presence will be felt long after he leaves the BC campus.